Welcome to our new home! This old-newly remodeled house within the walled city of Campeche. The location is ideal, one block from main street Calle 59 where all restaurants and shops are located. Walking distance to all city landmarks, you can even see the waterfront from our door! The house will be entirely for you. At the moment, it works as a loft since the living area, a small bedroom and the main bathroom are the ones remodeled. The house has a fully equipped kitchen with access to a small back patio. Parking is only available on the street, it is safe and free! We are pet friendly and tried to use environmental friendly products, such as water heater, wc, light bulbs and recycled material. Be the first one to enjoy at a brand new home in the most beautiful city southeast of Mexico. 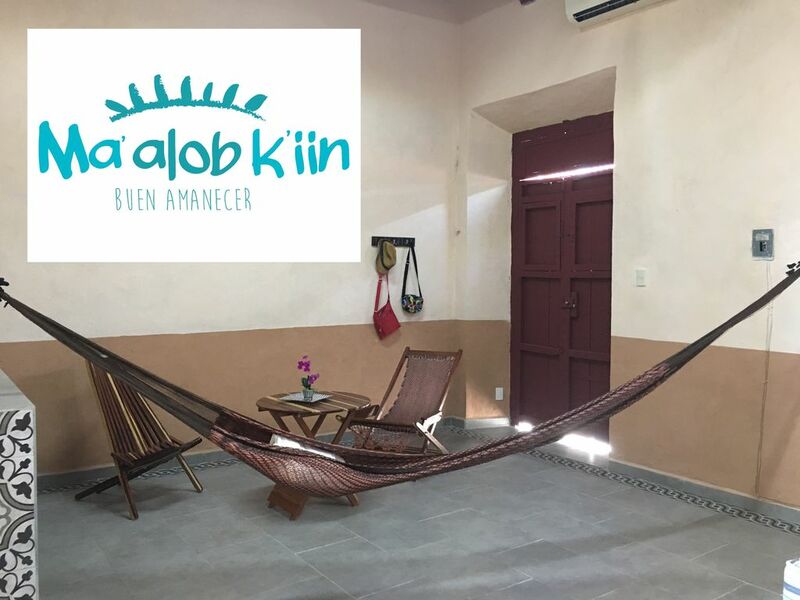 We can provide additional hamacs (people in campeche sleep all night in hamacs. We have an agreement with local tour operator for day trips nearby Campeche City.